Losinj Island - the mild micro-climate, nature, food, and friendly locals - it’s an ideal place for recharging and escaping from daily routines. Now you can also explore this pearl in an active setting. Sign up for a week-long stay and enjoy biking, kayaking, hiking and snorkeling. We explore coves and sandy beaches, mountains, trails, viewpoints, caves and shipwrecks. We break of the activities with body treatments and bodywork workshops. 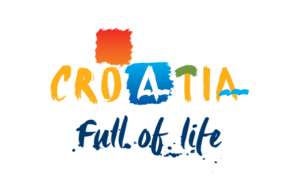 Improve your general well-being, feel the benefits of island’s micro climate, enjoy the traditional food, connect with locals and take in the history and culture of this wonderful spot in the Adriatic. Prices start at 680 EUR per person and includes everything except airfare and transfer to Losinj island. The daily program finishes late afternoon and you have the rest of the day to relax, let your impressions sink in, go to the beach, or enjoy the nice restaurants. If you want to continue with the activities of the camp, our equipment, including kayaks, bikes and snorkeling gear is also available to you, at no extra charge. Contact us and book your adventure!